Although author Rebecca Solnit has a thriving career as an independent freelance writer, the path to success on which she has traveled has provided numerous challenges. From living in a small bedroom in Paris to researching several disasters for her book titled “A Paradise Built in Hell,” Solnit’s experiences have shaped her beliefs surrounding the environment, the media and more. When most children are playing in the sandbox, a young Solnit made her career decision. “I wanted to be a ballerina until I learned how to read,” Solnit said. It was in first grade that she decided she wanted to be a writer. That childhood dream has become a reality. Solnit has published eight books, as well as numerous essays. Despite her success, she has chosen to live a simple lifestyle, a practice she feels more individuals should follow. Solnit attended graduate school at the University of California, Berkley, where she worked two jobs – writing for the “Sierra Magazine” and completing research at the San Francisco Museum of Modern Art. She graduated with a degree in journalism. Upon graduation, she held an editing job and began writing. “The best way to learn how to write is to write,” Solnit said, and she began publishing reviews. After writing a few short reviews, she began writing longer essays. “One step at a time can get you anywhere you want to go,” Solnit said. In recent years, one of those passions has included disasters and how people respond to them. “A Paradise Built in Hell” is one of Solnit’s more recent works, and it focuses on the aftermath of five disasters, from Hurricane Katrina in 2005 to the 1906 earthquake and fires in San Francisco. At one point in the book, Solnit’s discusses the way in which she feels the media failed during Hurricane Katrina. According to Solnit, fact-checking stories and presenting news objectively were left behind after the hurricane. She believes that media should take a course on the kind of rumors that crop up after disasters and how to avoid them. Similarly unafraid to express her political views, Solnit has clear opinions about our government. “I believe in as little hierarchy as possible, as much decentralization as possible. I believe in nonviolence,” Solnit said. According to Solnit, the massive issue is our reliance on elaborate systems to which people cannot connect. “I don’t believe there should be millionaires when people are starving,” Solnit said. Which seems to be an important lesson Solnit believes freelance writers should learn. In order to succeed as a writer, “you have to work really hard and live below your means,” Solnit said. Creativity is also key. “I think originality counts, and originality is often stepping back,” Solnit said. 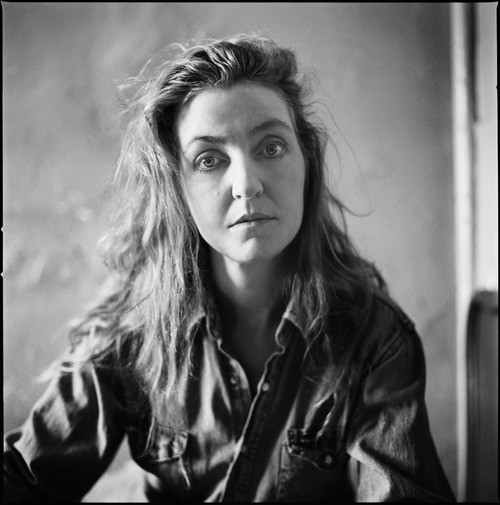 For more information on Rebecca Solnit and her work, head to her website.